Designing space for children can be challenging. Depending on the age of your child, you may need to tackle the project a bit differently. Read on for some tips you can use when designing spaces for your children as they grow and change. Do you want your child’s bedroom to look fantastic and give them a wonderful safe place to grow, learn and play? You do not need to spend a fortune on custom designed furnishing to give your child the gift of a fantastic play-space; all you need is your creativity, imagination and some inspiration! This is perhaps the easiest decorating job you will ever have! Not only are the very young appreciative of your efforts, they show their enthusiasm lavishly, with kisses, hugs and shouts of delight, leaving you in no doubt that they like what you have done. Bright primary colours, simple furniture, suitably padded to protect your little adventurer from bumps and scrapes and a host of cheerful pictures are the perfect basis of an adorable child’s room. Your little one may have favorite cartoons by this stage, but it is more likely that he or she will enjoy a wide range of books and television programs. This is where you might have your first inkling of trouble ahead, as your little princess is apt to change from pink and perfect to an outright tomboy who eschews frills and lace with little or no warning. 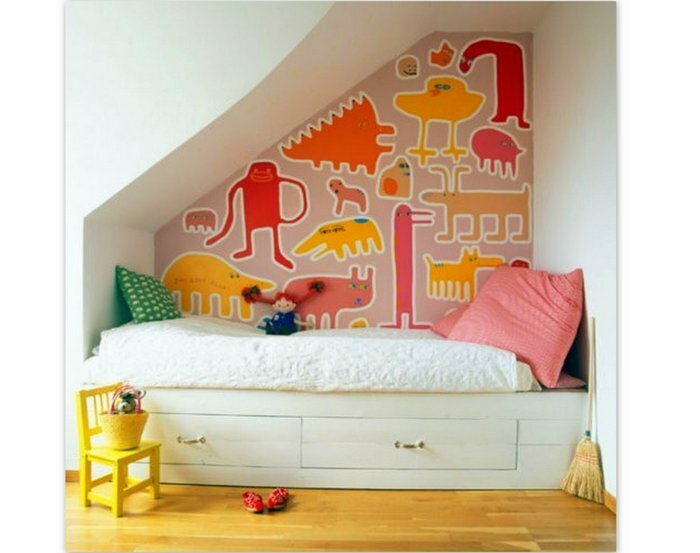 With very young children just starting school you are likely to be safe with creating a palace fit for a princess, but as they get older and more socially aware they are more likely to want plain wallpaper and ultra-cool cartoon-free bedding. You will know your child better than anyone else and if you have your doubts about recreating a Tyrannosaurus Rex nest in their bedroom there is bound to be a reason for it. 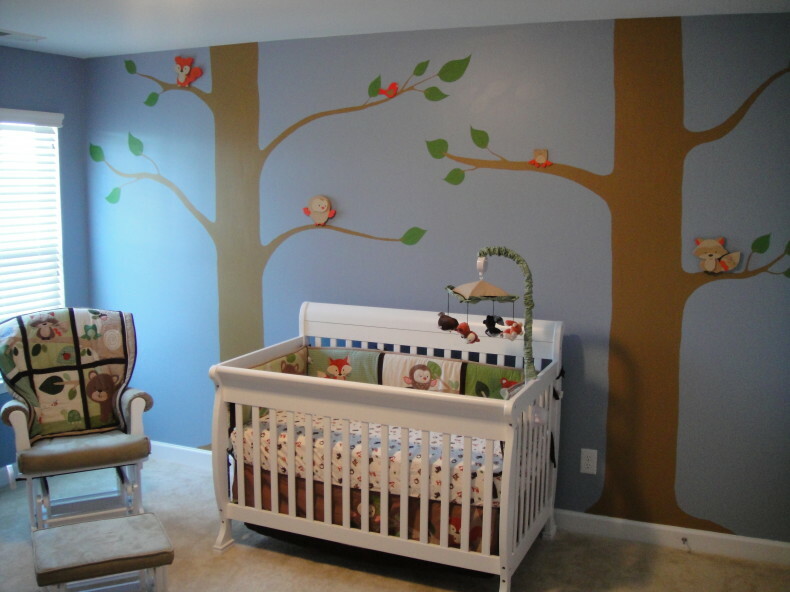 When decorating the room be aware that in a few years (if you are lucky) or months if not, they will be demanding a new look for their ‘babyish’ or ‘boring’ room! As a result, do not go to extreme lengths to outfit the room in a way that cannot easily be modified or altered. Young teens are desperate to fit in with the rest of their peer group, and it is not unusual to find that your child suddenly announces an affinity with a band that you are fairly certain they’ve never heard or a television program they were not interested in before. This peer bonding is usually harmless, as long as the things they are attracted to are age-appropriate and should not cause you any worry. Young teens can be very fussy when it comes to their room décor, as it is the place that their friends see the most when they come over for a visit or sleepover. Get around this by giving them a lot on input in the room, making sure they remain within a manageable budget. Keep walls mostly plain with neutral paint or wallpaper that is capable of having multiple posters stuck all over it with no ill effects. You can find some interesting posters here, and at other online art shops. No matter how you think the room will turn out, the child will have their own ideas and proceed to personalize it their own way, and your best bet is to allow them that freedom! This is a décor path where you can begin to assert yourself again. Many older teens and young adults are thinking about or attending university, college or even beginning work. They will be forming their own group of close friends and tend to be home less. 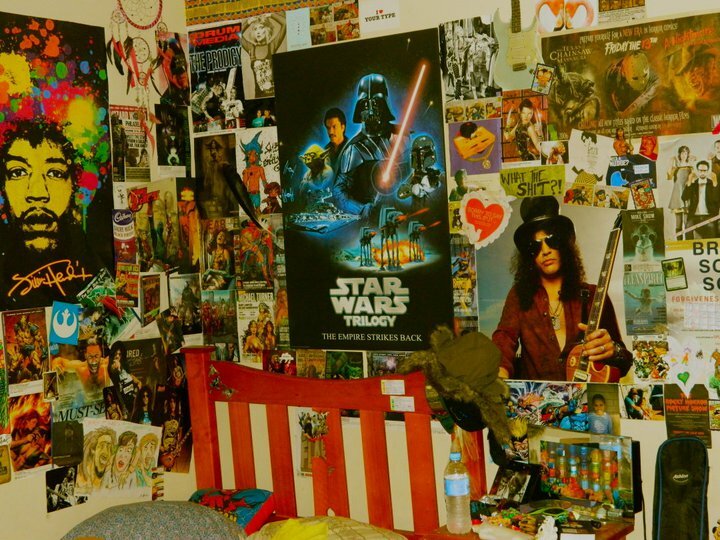 You are quite within your rights to begin to claim their bedroom back as a spare room, especially if they are away for a good percentage of the year. Simple but tasteful furniture available at places such as shop4furniture.net is perfect to furnish this room, and the décor can be a compromise between what you want, and what your nearly grown-up child wants. There should not be so much friction and possessiveness as there can be with younger teens, perhaps because the older child is mentally preparing to move out and begin a life of their own. No matter how old your child is, and whatever their preferences may be, you are sure to create the perfect environment for him or her when you let your love for them be your inspiration for the bedroom décor. Guest Post contributed by Lisa Jolan.